There has been a revolution in urban transportation over the past five years—set off by start-ups across the US and internationally. Sleek, legible mobility platforms are connecting people to cars, trains, buses, and bikes as never before, opening up a range of new transportation options while improving existing ones. While many large city governments, such as Chicago, New York, and Washington, D.C., have begun to embrace creative forms and processes of government, most still operate under the weight of an unwieldy, risk-averse bureaucracy. 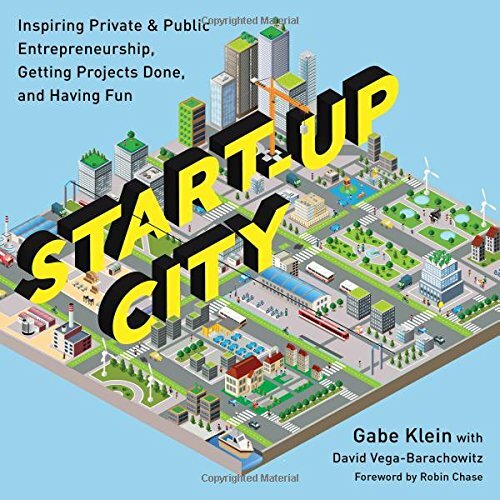 With the advent of self-driving vehicles and other technological shifts upon us, Gabe Klein asks how we can close the gap between the energized, aggressive world of start-ups and the complex bureaucracies struggling to change beyond a geologic time scale. From his experience as a food-truck entrepreneur to a ZipCar executive and a city transportation commissioner, Klein’s career has focused on bridging the public-private divide, finding and celebrating shared goals, and forging better cities with more nimble, consumer-oriented bureaucracies. 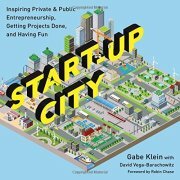 In Start-Up City, Klein, with David Vega-Barachowitz, demonstrates how to affect big, directional change in cities—and how to do it fast. Klein’s objective is to inspire what he calls “public entrepreneurship,” a start-up-pace energy within the public sector, brought about by leveraging the immense resources at its disposal. Klein offers guidance for cutting through the morass, and a roadmap for getting real, meaningful projects done quickly and having fun while doing it. This book is for anyone who wants to change the way we live in cities without waiting for the glacial pace of change in government.